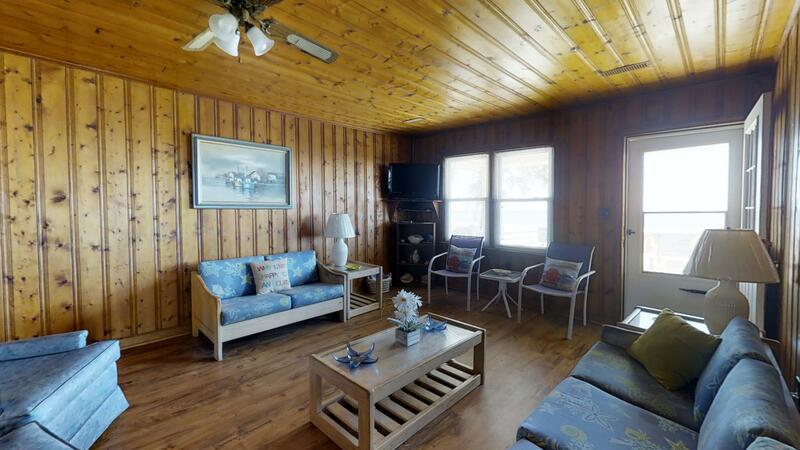 Competitively priced, this North Myrtle Beach vacation property is ideal for a multi-family or group getaway. 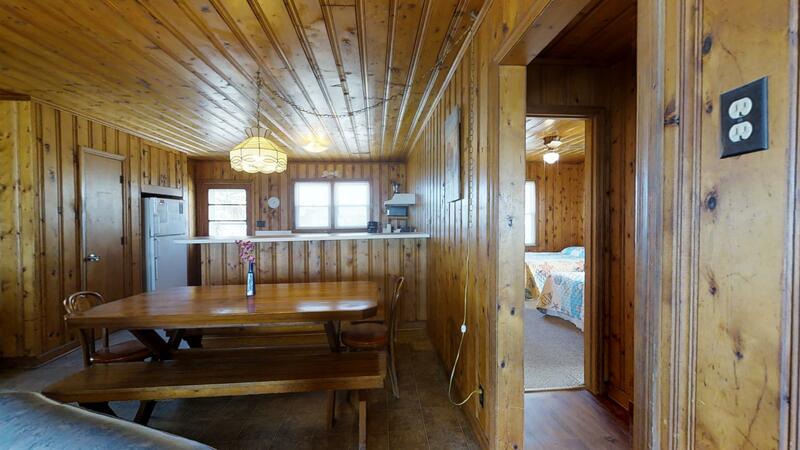 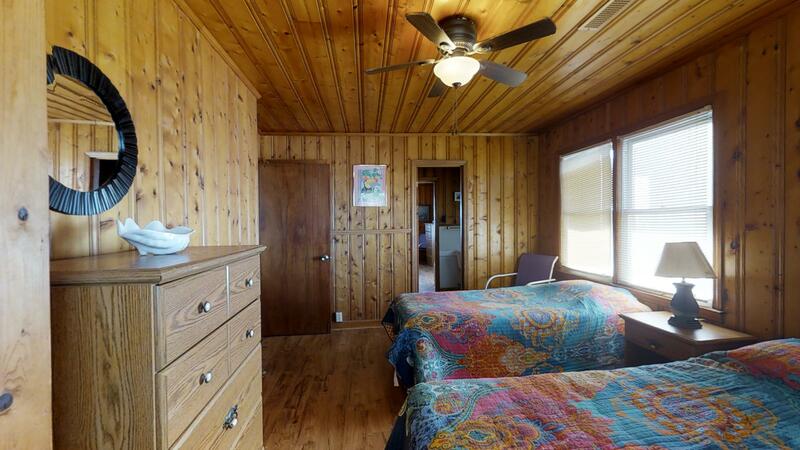 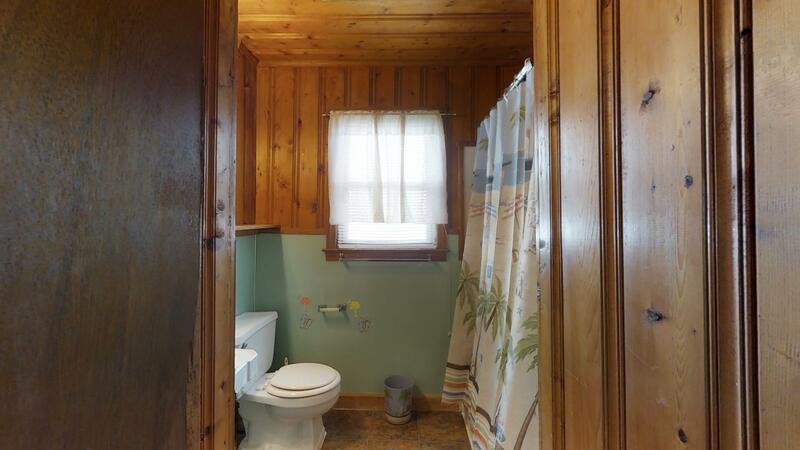 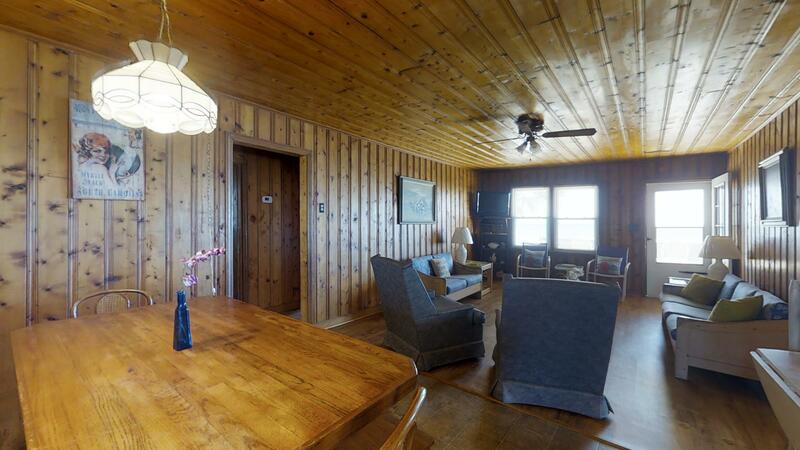 With 4 bedrooms and 2 baths, it is able to comfortably sleep up to 14 vacationers. 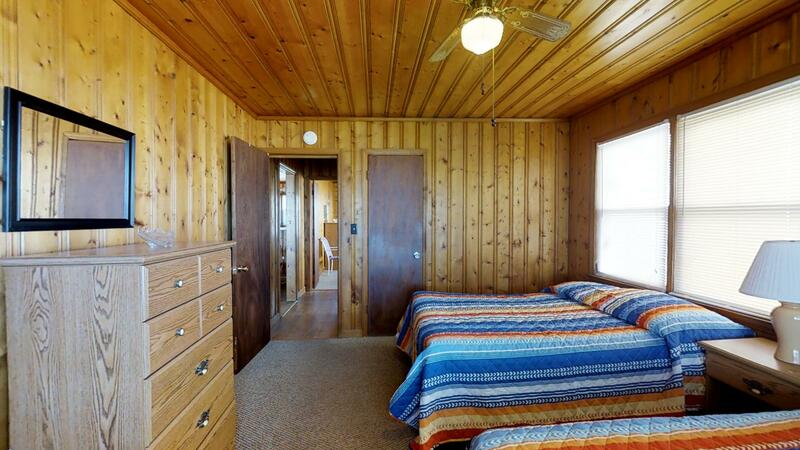 Part of a duplex, if more space is needed, you can simply rent the lower level as well which can accommodate up to 14 more guests. 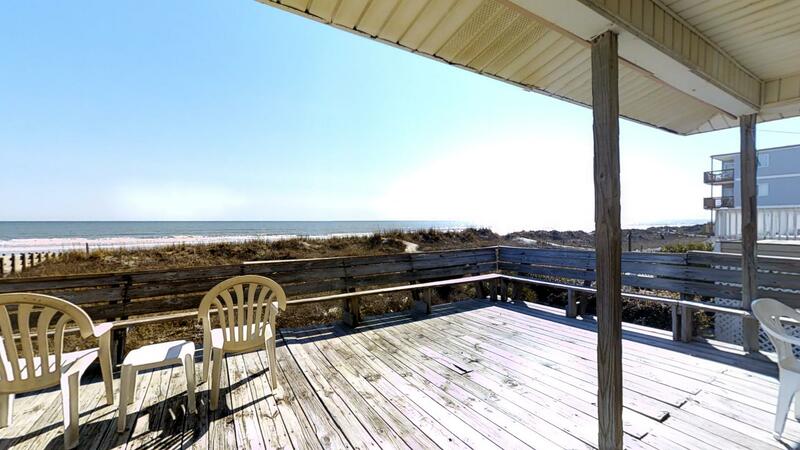 From this charming oceanfront property, you’ll wake up to ocean views and will be just steps away from the beach. 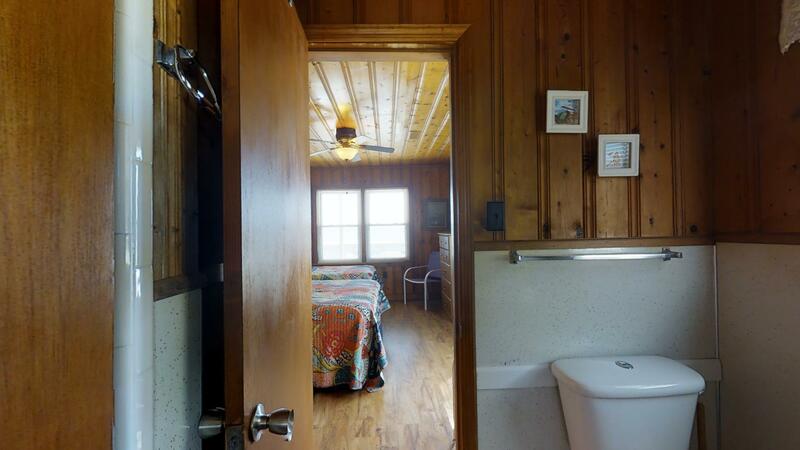 When you get back from playing in the sand, simply rinse off at the beach shower and come inside to watch a movie on the DVD player or catch up on your favorite tv shows via its cable television network. 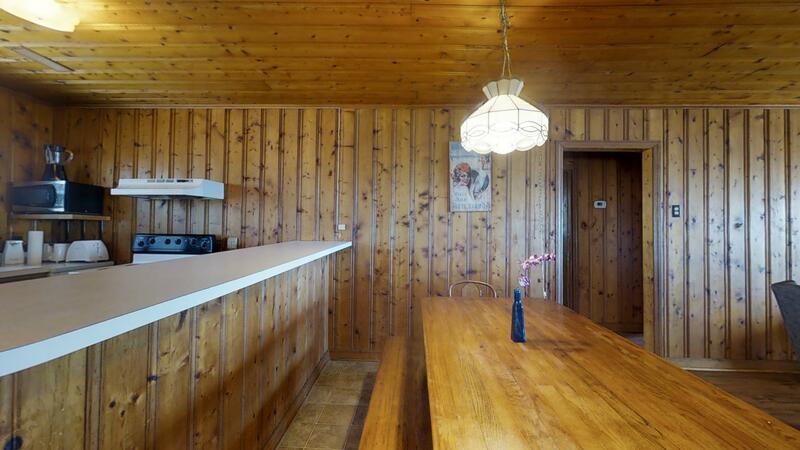 Wifi is also available should you want to post your photos or live video on Facebook, Instagram or Twitter. 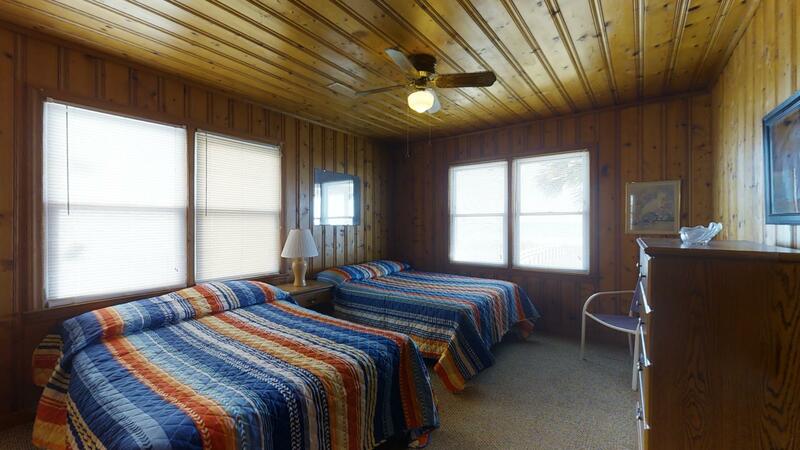 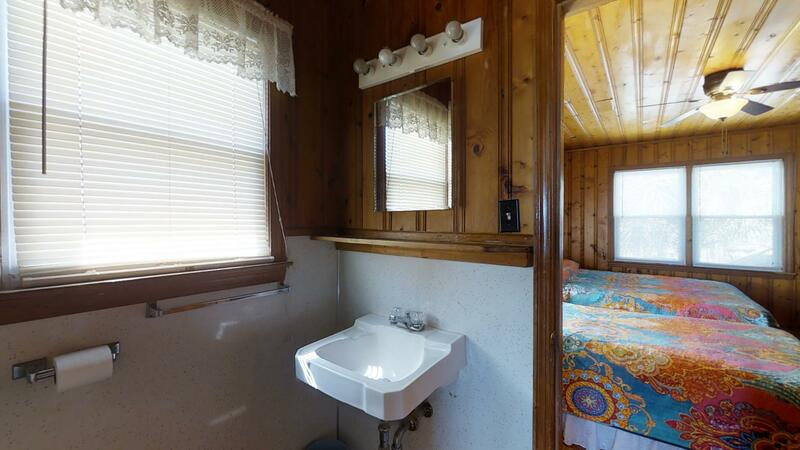 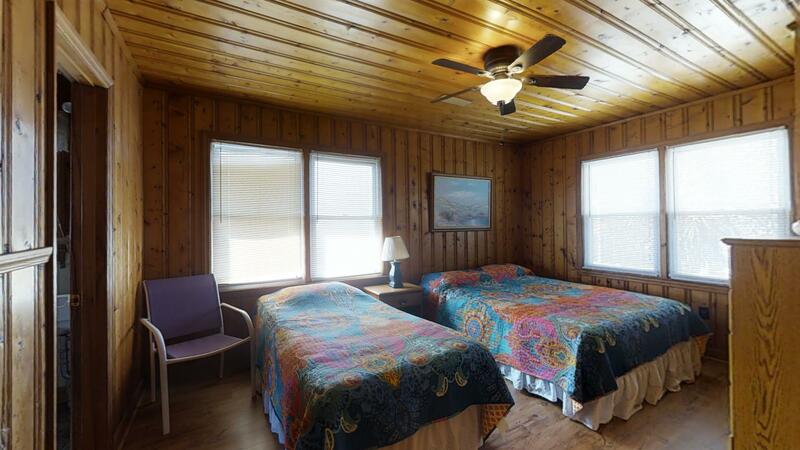 Rolltide Upper has 4 bedrooms and 2 baths with a combination of queen, double and single beds for sleeping. 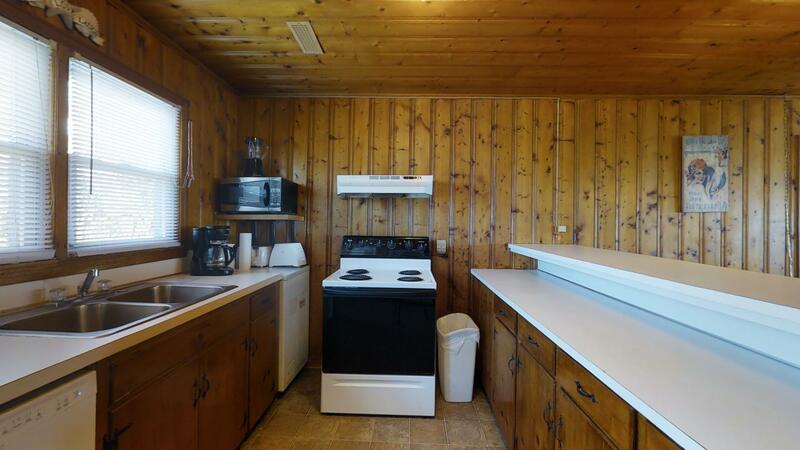 There is also a full size kitchen with a modern stove, refrigerator, dishwasher and microwave for cooking. 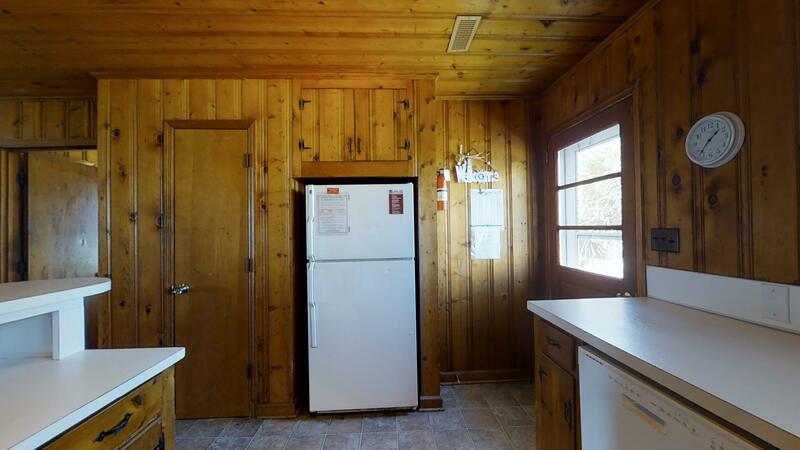 Offering ample storage, there is plenty of space for everyone’s favorite snack foods and beverages. 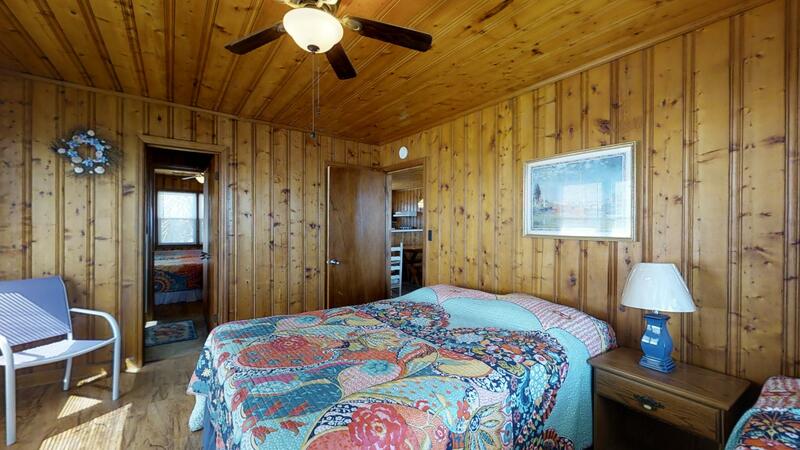 This upstairs unit offers photo worthy panoramic views of Cherry Beach. 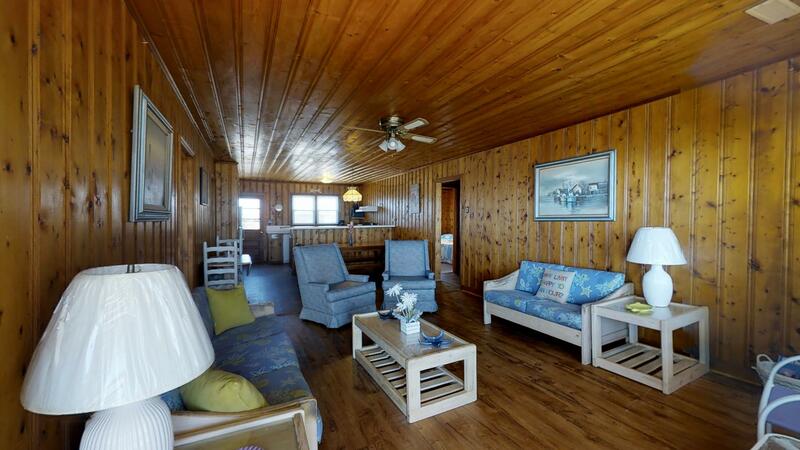 You’ll also enjoy salty breezes and a relaxing ambience when sitting outdoors on its porch or sundeck. 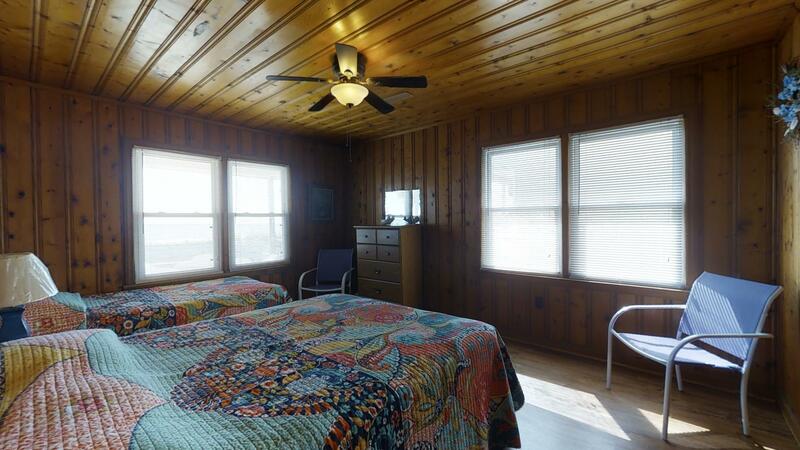 This vacation property also has both central heating and air conditioning along with ceiling fans for keeping the home comfortable year-round. 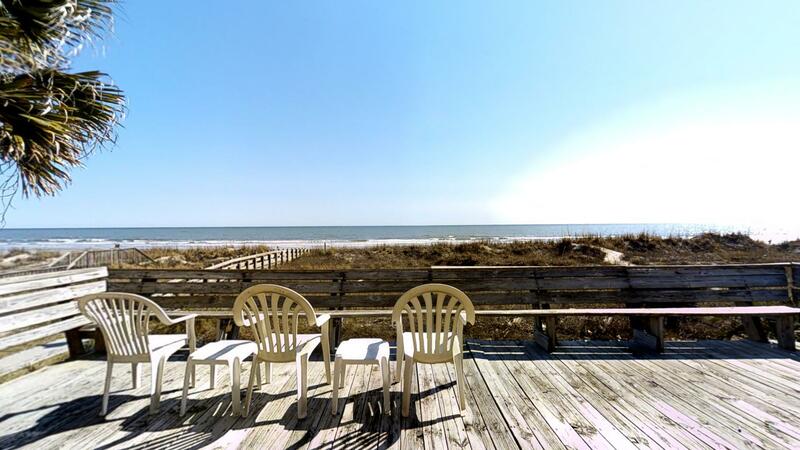 Located in Cherry Grove, it is convenient to shopping and nightlife. 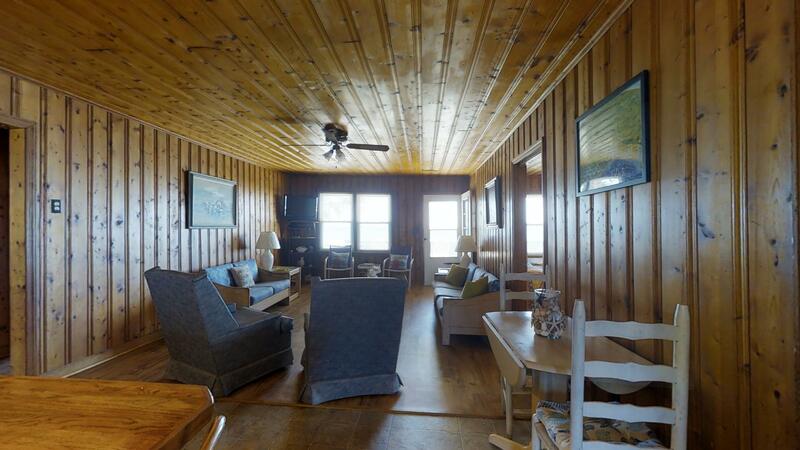 Call today to book this property for your next North Myrtle Beach retreat.